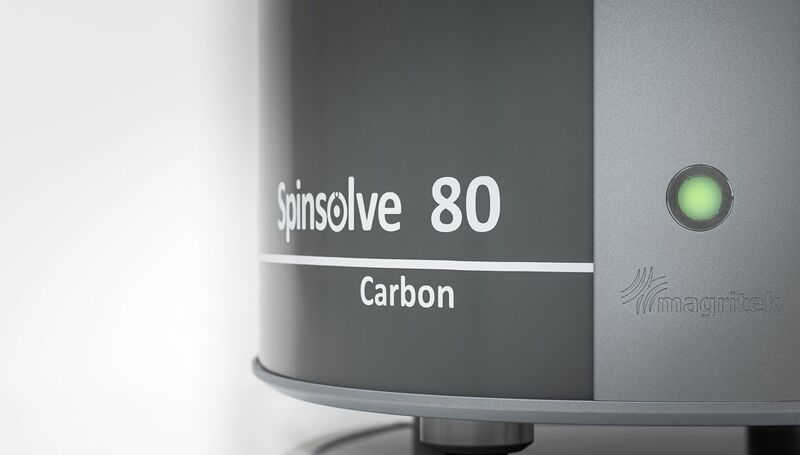 Spinsolve is a revolutionary benchtop NMR spectrometer that provides exceptional performance in a compact package. It offers the highest sensitivity, resolution, and stability available for benchtop models and is equipped with an intuitive software that makes it easy and convenient to operate. The Spinsolve family comes with models at 43 MHz, 60 MHz and 80 MHz, that are ideal for chemists in academia and industry where it can be used for reaction completion checks, identification, structure elucidation, quantification, purity measurements, online reaction monitoring and quality control (QA/QC). Spinsolve 80 maintains the highest performance and quality standards you've come to expect from Spinsolve, but now with an unparalleled 80 MHz magnet at its core. Spinsolve 80 can perform even the most advanced multi-nuclear methods with just a single click. Experiments enabled include COSY, DEPT, HSQC-ME, and HMBC.